“The Davis Cup is without doubt one of the great pillars of tennis, with a rich heritage dating back to 1900. It has produced some of the most epic matches in the sport’s history and enshrines all that we love about the sport – respect for the rules, a sense of fair play and a team spirit that enables players to set aside individual pursuits to compete for the glory of their country. Rolex is proud to renew its alliance with the world’s premier men’s team competition as part of our support for tennis that stretches back more than 40 years and is based on a shared commitment to performance excellence and upholding the finest traditions,” said Arnaud Boetsch, Communication and Image Director, Rolex SA. 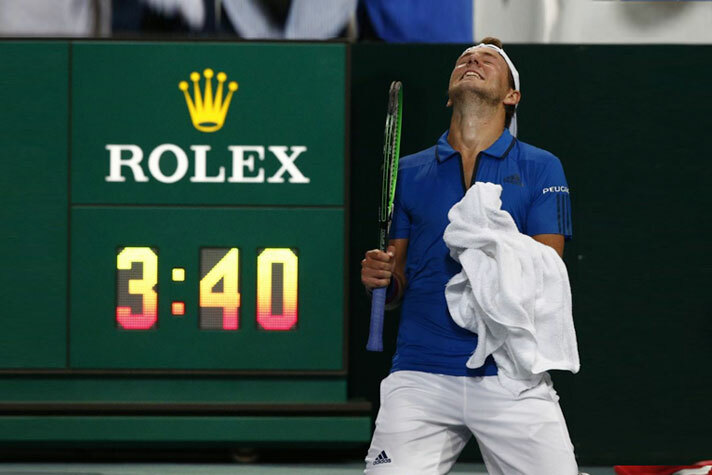 The emblematic Rolex brand was visible throughout the Davis Cup Qualifiers played in 12 different countries around the world this weekend, as well as throughout the Davis Cup Madrid Finals to be held in Madrid in November. “This is an exciting time for all of us and we look forward to working closely with Rolex to grow our partnership across all markets and reaching new audiences in order to have a bigger impact with the competition,” said Javier Alonso, CEO, Kosmos Tennis.